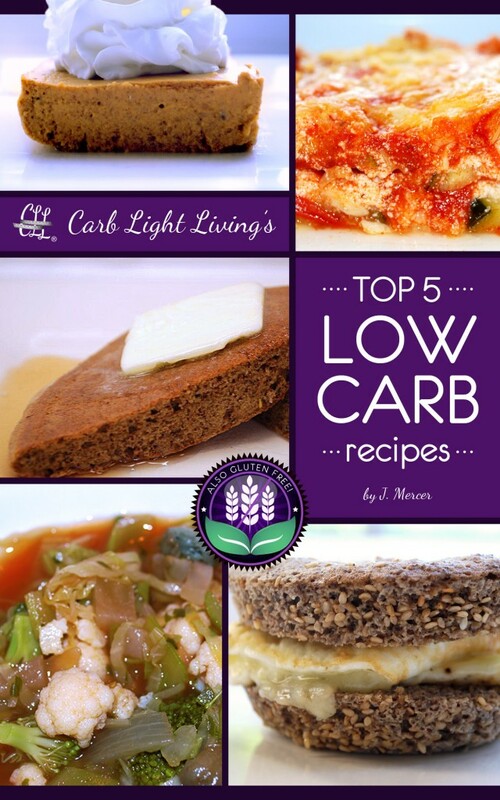 Get our Top 5 Carb Light Living™ recipes that work on low-carb & gluten-free diets. Available NOW via Amazon in PRINT and on Kindle! The Top 5 Low Carb Recipes (also gluten-free) presented by Carb Light Living™ is a unique and flavorful collection of five satisfying and slimming low-carb makeovers of some of American’s favorite foods, using imaginative ingredient substitutions. Once you’ve made a recipe, please write a review on Amazon and share your experiences!